The arrival of Delhi summer can be ascertained in a number of ways. A poetic way is to look for the yellow flowers of Amaltas trees. The Delhi Walla’s summer truly begins with the re-emergence of Muhammed Rafi in Turkman Gate. 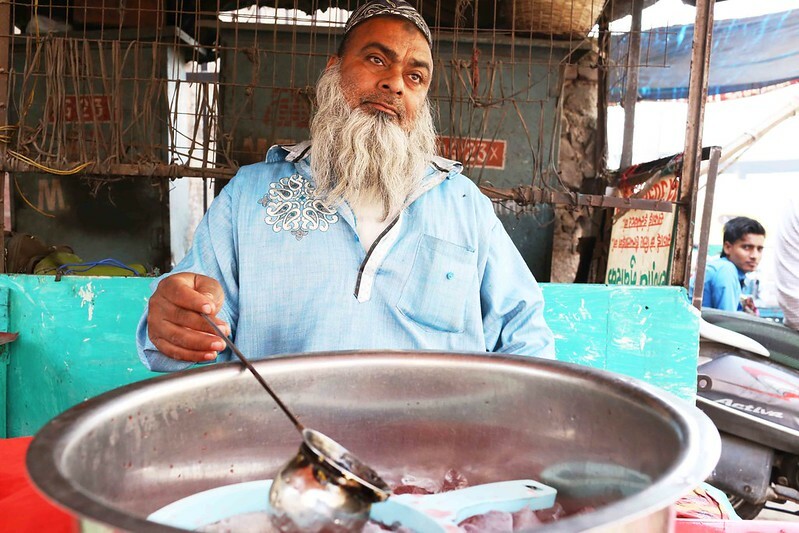 It is behind this Mughal-era gateway of the Walled City that the capital’s signature season acquires a comforting metaphor in the shape of Mr Rafi’s Rooh Afza drink stall. For more than 40 years, this elderly man has been cooling parched throats with this refreshing rose-flavored drink. His establishment remains closed in the winter. “I re-opened the stall last Saturday,” Mr Rafi told me in his customary understated tone. 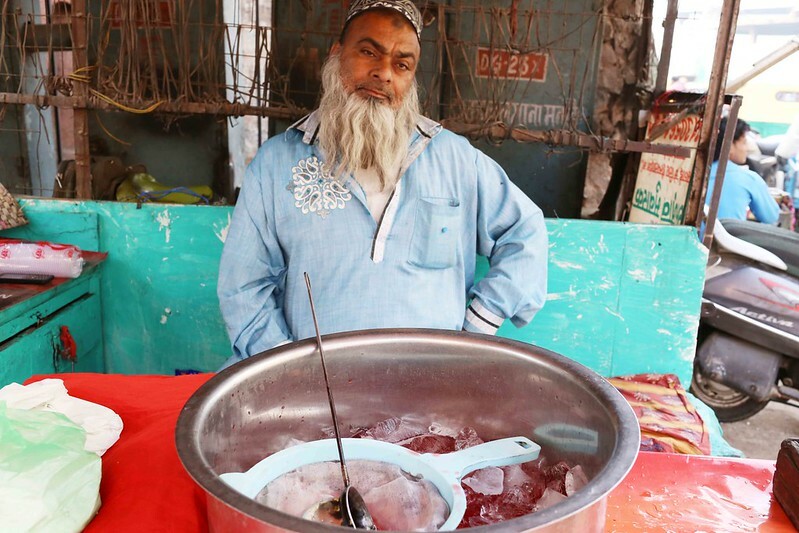 His cart consists of four Rooh Afza syrup bottles, a stack of plastic glasses, bowls for small change, a large strainer and a large pan filled with uneven chunks of ice floating languidly in the watery Rooh Afza drink. 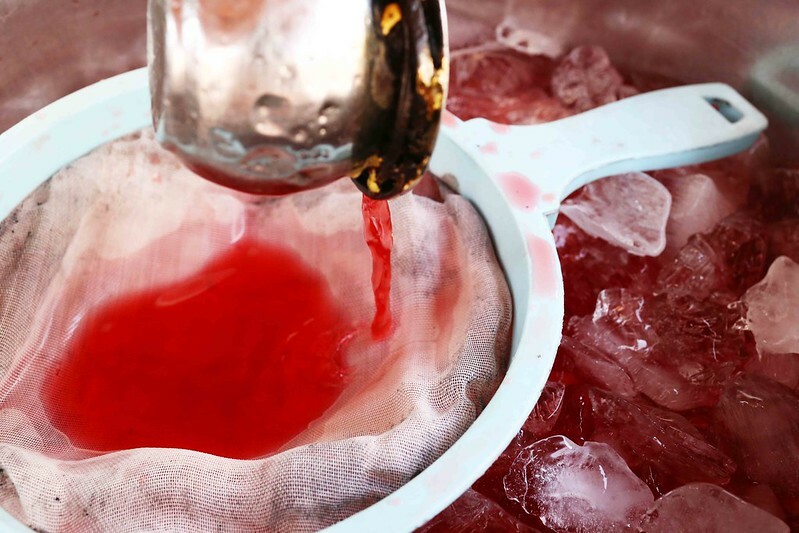 (I have written about Rooh Afza in detail here). 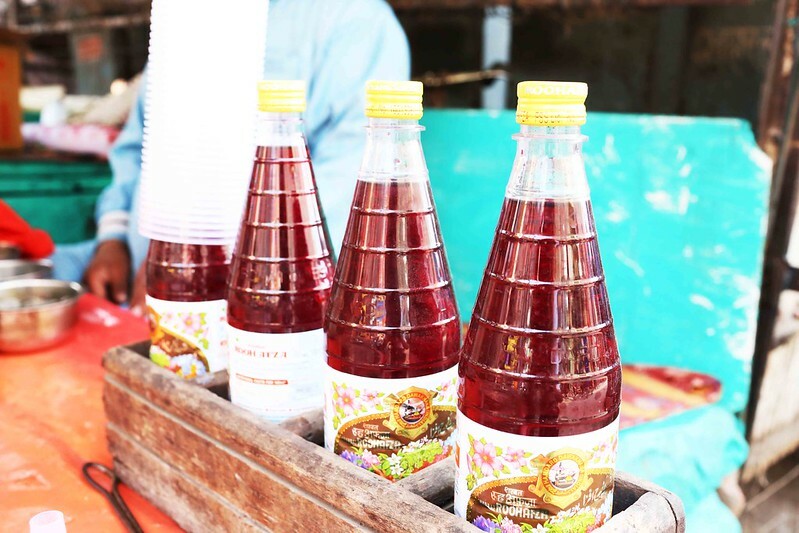 Rooh Afza is so much a part of the life in Old Delhi that its syrup bottles can be found in every household; the drink’s corporate headquarters is, in fact, just a ten minutes walk away from Turkman Gate. 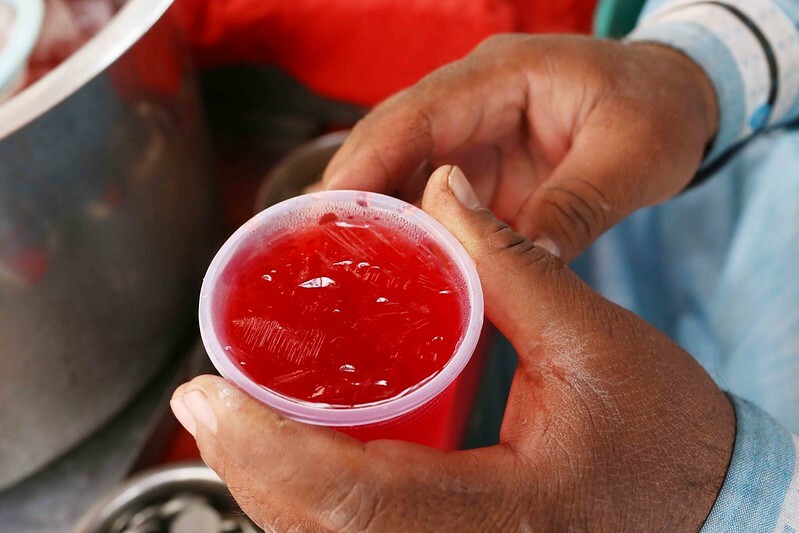 Even so, Mr Rafi never runs short of customers—after all, when you are about to faint under a hot burning sun, you cannot exercise the luxury of rushing home for a glass of Rooh Afza. 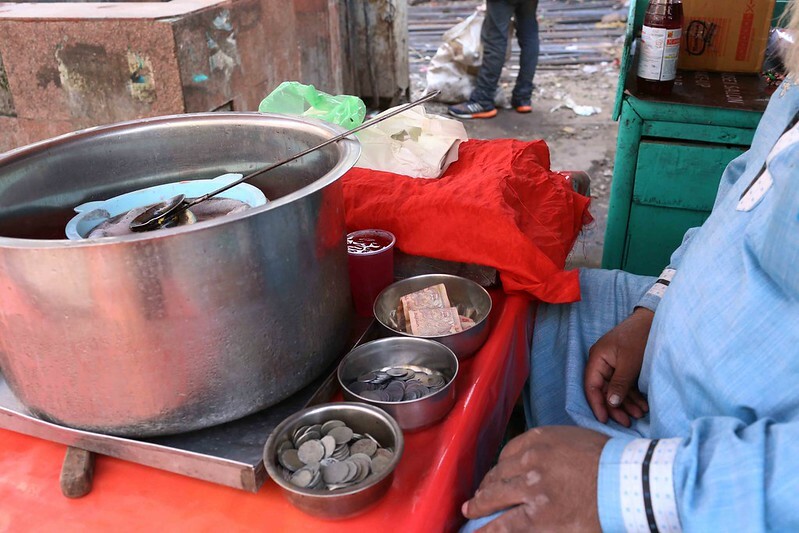 Also, many of Mr Rafi’s customers happen to have no household, such as daily-wage laborers and rickshaw pullers who simply sleep on pavements. 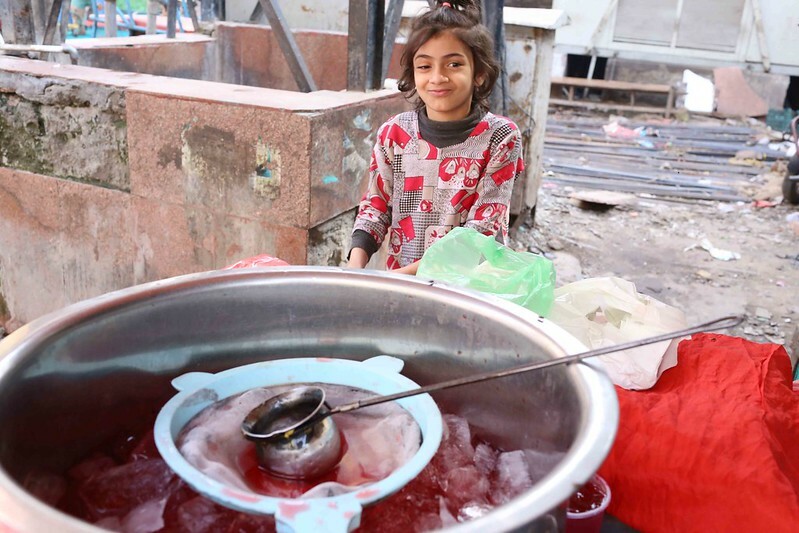 For them, a glass of Rooh Afza from this stall—as well as any other such stall in the area—is a heavenly elixir during the increasingly sweaty days. The cold rose drink is not the only consolation for the summer. Mr Rafi, too, is a relief—his calm-tempered appearance remains unsullied during the most trying times of the season. No matter how intolerably hot and dusty the days become, his bearded face always shows a Buddha-like calm. One wonders how this man copes with the city’s brief winter when he is obliged to shut down his business. But why think of that right now? The cold days are far, very far. Sir, this article correlates the relevance of onset and departure of each season on our souls. What we perceive as intolerable is a boon and source of living for many people and we start respecting each of the season. Thanks and ton for sharing this article.